Sticking with the theme of Halloween baking, we thought today we would bring another simple recipe to the blog. 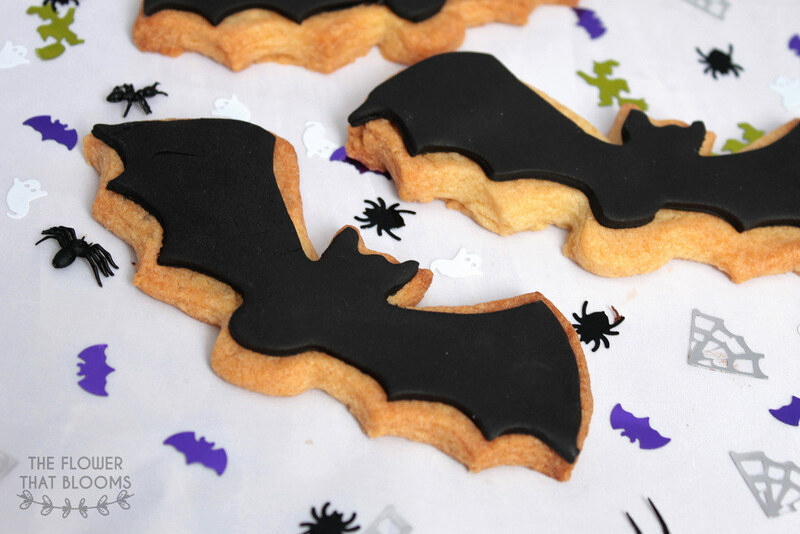 We recently made these delicious vanilla biscuits and since Halloween is SO soon, we had to use our bat cookie cutters! If you’re looking for a recipe that doesn’t take ages to prepare or require a tonne of ingredients, you need to try this! The recipe is from a book called ‘Home Baking’ which is full of easy but yummy recipes. We’ve written up the recipe ourselves below so you can try it yourself this Halloween! Line 2 baking trays with baking paper and preheat the oven to 180°C (350°F, Gas Mark 4). Sift the flour into a bowl. Add the butter and rub it in with your fingertips until the mixture resembles breadcrumbs. Stir in the caster sugar and vanilla extract and mix together to form a dough. 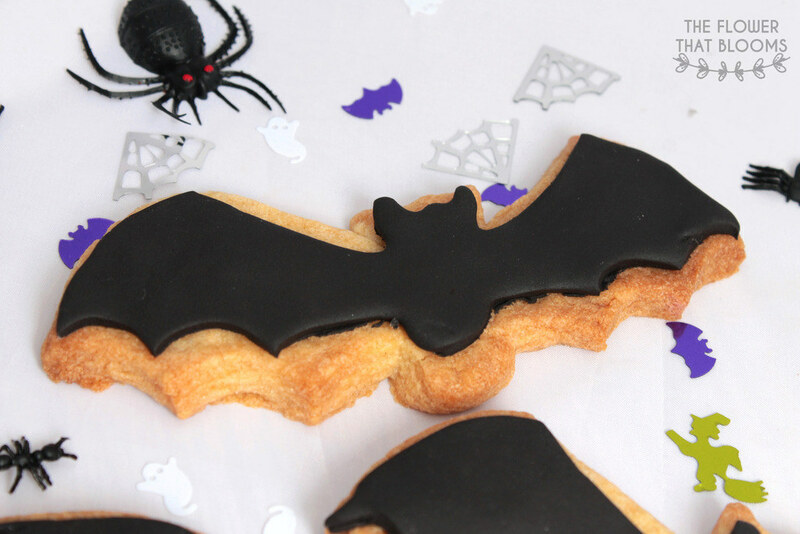 Roll out the dough on a surface lightly dusted with flour and cut out the bats using your bat cookie cutter (we got ours years ago but we know you can find one similar from Hobbycraft)! Bake for 15-20 minutes until they are just lightly golden and transfer to a wire rack to cool. After allowing the biscuits to cool, we rolled out some black fondant icing and cut it out using the same bat cookie cutter. We then used a bit of water to stick the icing onto the biscuit, simple! 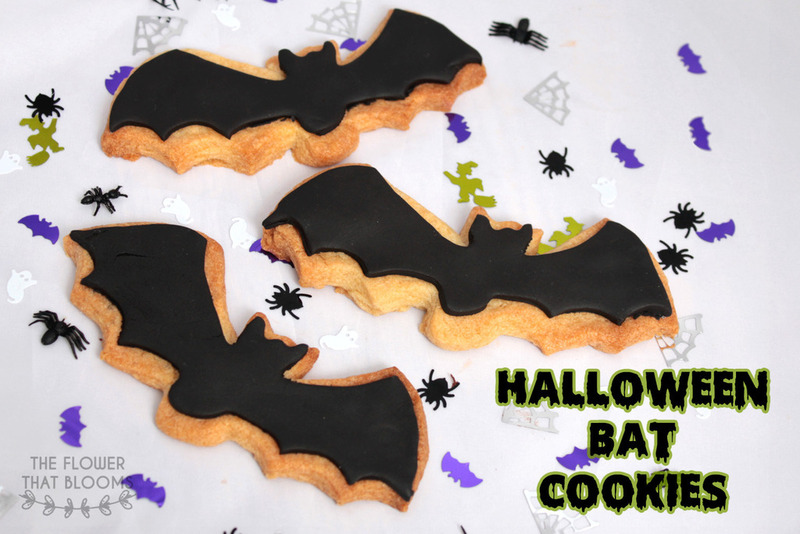 The cookies are so simple to make and the perfect treat for Halloween! They taste sweet but not overpowering and the icing makes them taste even better. If you want to bake something quick and easy this Halloween you should definitely give these a go, the presentation doesn’t take a lot of effort either! Very envious of having no bat- shaped utter right now – these look awesome! You should treat yourself to a bat cutter haha! Never too late!!! Ooo these look so good! I love how easy the recipe is as well, may have to give them a go. I just wish I was better at doing icing, I’ve attempted it before and it did not go well aha! We're sisters, Lushies and lovers of Disney who blog about cruelty-free beauty, fashion & lifestyle. We’ve abandoned our little blog so much 😱 we don’t know how you all do it but we are so bad at juggling everything 😂😂 here’s to summer & hopefully more time for blogging! So so happy that the sun is out again & it makes us want to just sit outside with a book and a cold drink, anyone else?? ☀️📖 head to our latest post to see what we’re currently reading!